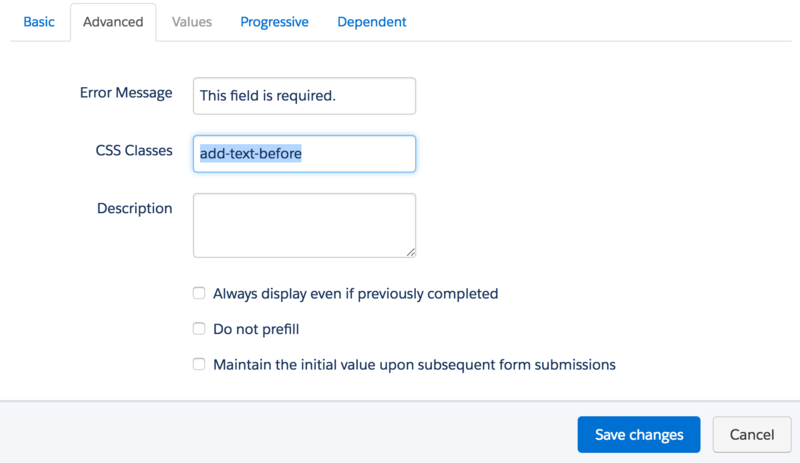 Edit the form field you want to add the text before in the form editor. Click on the advanced tab and add a CSS class with the name “add-text-before”. Once the class has been added to the form field, you can add the following JS to your form and update the message. Edit the hidden form field, click on the advanced tab and add a CSS class with the name “get-page-url”. Insert this JS into your form to capture the page url in the hidden field. Edit the hidden form field, click on the advanced tab and add a CSS class with the name “get-page-name”. You can use this script to parse out URL parameters and put them into fields within your Pardot form. In this example, I’m passing utm_source, utm_medium and utm_campaign into hidden form fields. 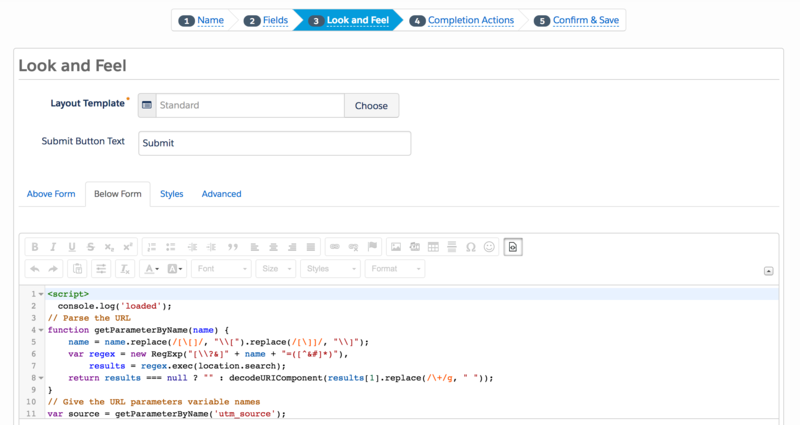 // Put the variable names into the hidden fields in the form. selector should be "p.YOURFIELDNAME input"
What is your favourite tip? Hi Jenna! Your blog is a real gold mine for a Pardot admin :) Thanks for all the work you put in! I was wondering, would you know how to write a script to validate input for a Phone number field form? I would want to force prospects to input their phone number as +123456789, and prevent submission if any other format is used. Thanks! Hi Jenna, I was wondering if you could point me to any resources to handle the phone validation that Jaime Lopez commented about. Any help would be appreciated. Thank you! Hello, Jenna. I've been using your Landing Pages a lot. I really appreciate that. About these tips, is it possible to get URL or title of the parent page when I use form as an iframe form? If it's impossible, what's the case to use these scripts to get URL or titles while we could use Completion Action to change the field instead? 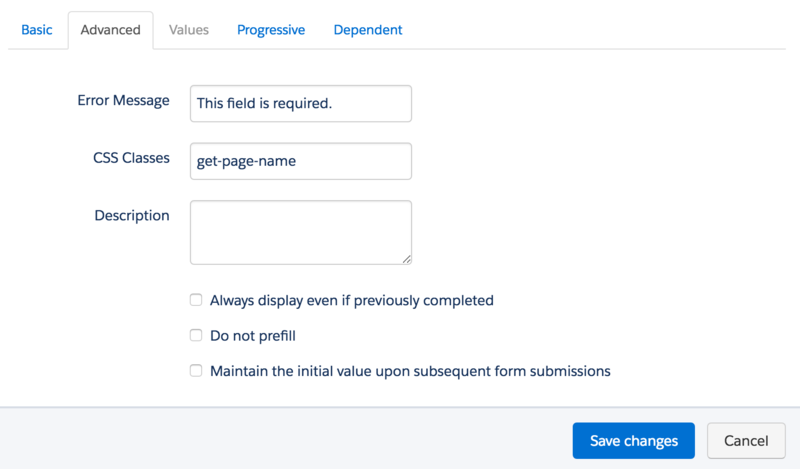 How do you go about implementing these features for Pardot Form Handlers? Have a good now at trying to capture the page URL with an existing form handler but not having much luck.